In just one click bring your new employee from Hire by Google straight into Appogee HR and provide access to the Onboarding portal for a smooth transition into your business. Appogee HR pulls together the key information gained about the new employee and populates the relevant fields. From here the new starter can be added as a joiner with access to the onboarding portal prior to their start date. In just one click bring your new employee from Hire by Google straight into Appogee HR and provide access to the Onboarding portal for a smooth transition into your business. Create your new Hire candidate as a Joiner in Appogee HR in just a click. The hired candidates will appear in your Appogee HR ready to use. All the key information in Hire, such as addresses, contact information and email, can all be added into Appogee HR to save time on re-entry. The new hire has been given a job role in Hire throughout the process, this will get moved into Appogee HR to allow you to continue with HR tasks. Move the new starter straight from Hire into Appogee HR and get going with joiner access to the Onboarding Portal to share and collect further information prior to start date. Pulling across all relevant information from Hire, there is little need to enter any duplicate information, eradicating errors and duplication from HR and the Employee. Both Hire and Appogee HR integrate with G Suite, making both these tools and excellent addition to your G Suite business. Integration saves time, effort and creates simple workflows. Appogee HR provides a suite of simple and intuitive HR, leave and goal management systems with self-service for employee information & records, leave management, company policies, OKRs (goals) and much more. Businesses using Appogee HR can manage the employee process right from the onboarding of an employee to the moment they leave, keeping a record of all events, employee records, and information between. The recently launched Onboarding Portal gives users the perfect transition between hiring and joining the HR lifecycle of the employee. Automated workflows and notifications further allow businesses to operate efficiently, keeping the information they need in one location with alerts when updates are needed, giving time to focus on moving the business forward. The integration with Hire further supports our already strong integration with G Suite, which already provides close links with GMail, Google Calendar, single sign-on benefits and more. For more information on Appogee HR please head here or get in touch with us at sales@appogeehr.com. Fully integrated with G Suite, Google Hire offers businesses a simple way to hire smarter using the G Suite tools users are familiar with. 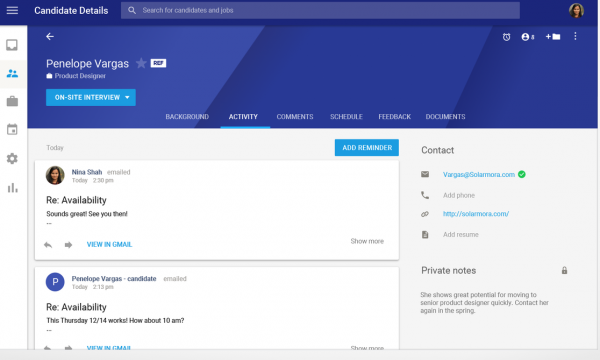 Hire is an online recruiting application run by Google, using familiar tools such as GMail, Calendar, Drive and Sheets, to allow businesses to complete the recruitment process in a few simple steps. Hire allows you to post new jobs to various job sites and track and manage all applicants throughout the process. Scheduling interviews and communication with the candidate are made simple with the Hire tools. The hiring teams can discuss applicants and provide feedback all within the system, keeping everything in one place and improving the whole process. 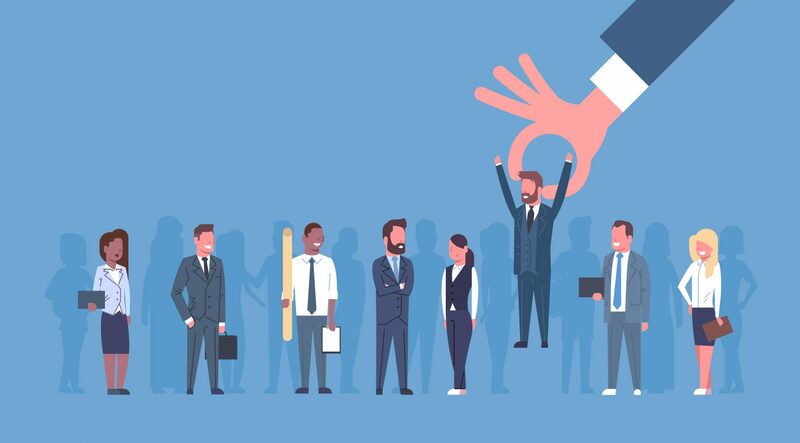 Once you have found the new employee, you can update the chosen candidate to hired and other candidates can be kept in Hire for potential future roles.Find out more information on how Hire by Google could change your hiring process, head here.